Willie was born on March 12, 1984, in Brawley, CA and raised in El Centro, CA. He was exposed to music at a very young age through his parents and grandparents. At age 6, he attended his first concert at the Imperial Valley Fairgrounds where he was first introduced to mariachi through a performance of Sol de Mexico. Years later, he received his first mariachi trumpet lesson by Jose Hernandez. In high school, he was given recordings of "Conjunto Medellin" and "Los Costeños" which soon lead him to become interested in learning to play the harp. After moving to Los Angeles in 2008, Willie received an invitation from Art Gerst to audition and became the harpist for Mariachi Sol de Mexico. Ramiro Benavides is a full-time mariachi educator for the Monaco Middle School Mariachi program, Mariachi Los Gavilanes de Monaco Middle School, in Las Vegas, Nevada. In a few short years, mariachi student enrollment at Monaco Middle School has skyrocketed from 99 students to over 460 mariachi students. Mariachi Los Gavilanes has also represented the Clark County School District with performances in Arizona, California, Nevada, New Mexico, and Texas. Ramiro also currently serves as the Task Force Chair for all Secondary Mariachi Programs in the Clark County School District. Ramiro helps oversee all middle school and high school mariachi programs for the Clark County School District in Las Vegas, NV. Ramiro is a co-author of the ¡Simplemente Mariachi! Method Series published by Northeastern Music Publications. Education Week profiled Carranza as a national 2015 Leader to Learn From. (Open external link) He earned a Bachelor of Arts degree in secondary education from the University of Arizona and a Master of Education with distinction in educational leadership from Northern Arizona University. He completed his doctoral coursework in educational leadership through Northern Arizona University and Nova Southeastern University. Jose Hernandez and his Mariachi Sol de Mexico® have a biography and history as rich and colorful as mariachi music itself. A proud fifth generation mariachi musician, Maestro Hernandez’ roots trace back to 1879 to the birthplace of mariachi – Jalisco, Mexico. Ever since he founded Mariachi Sol de Mexico® in 1981, Jose has gone on to break countless barriers in the world of mariachi music and is now recognized as having turned the genre into the international sensation it is today. An accomplished trumpet virtuoso and graduate of the Grove School of Music, Jose is the first mariachi musician to have arranged, composed and conducted for numerous international symphony orchestras. His platinum-selling Sol de Mexico® became the first mariachi ensemble to be nominated three times for a Grammy – most recently on September 25th for his new symphonic CD, “La Música” with Mariachi Sol de Mexico and the Sinfonica Nacional de Las Americas. He is also being recognized for his work on Vikki Carr’s new CD, “Viva la Vida.” Not only did Jose co-produce the album and provide all of the accompaniment with “Sol de Mexico,” he also composed one of the selections for this album, “Ay Amor De Mis Amores,” “Sol” continues to travel the world as Ambassadors of Mariachi Music having performed to sold-out venues through the world including Spain, Argentina, Chile, Uruguay, Venezuela, Mexico, China and North Korea. Hernandez has performed for five US Presidents: Ronald Reagan, George H. W. Bush, Bill Clinton, George W. Bush and Barack Obama. Hispanic Magazine has recognized him as one of the Top 100 Most Influential Latinos in America. Jose is especially proud of his work in education and is committed to working with young musicians to guide them along the way. He has collaborated with school districts throughout the country to assist them in building standards-based mariachi programs and has developed a full line of mariachi instruments for La Tradicion Music, a Division of West Music Company. As a Conn-Selmer Performing Artist, Jose is solely responsible for developing the new, highly acclaimed and ground-breaking Bach Stradivarius LR19043B Trumpet which was premiered at the NAMM Show in January of 2013. Over the past year, Hernandez has also been collaborating with Hal Leonard Coporation which just released five of his arrangements including CIELITO LINDO, EL SON DE LA NEGRA, MARIETA, ME HE DE COMER ESA TUNA and POR UN AMOR. These authentic arrangements were inspired by Jose’s desire to provide appropriate selections for school ensembles that would focus on authentic performance style. Jose is especially honored to have been invited to speak at the National Policy Forum on Music and the Arts being held in August at Pixar Studios by the White House Initiative on Educational Excellence for Hispanics. Partnering with Marcia Neel, president of Music Education Consultants, Inc., their work in guiding new students to mariachi education has become the national curriculum model being emulated in rural and urban school districts all across the country. It has been well documented that Jose Hernandez and Mariachi Sol de Mexico® are an irrefutable institution within the mariachi genre. They continue to leave an undeniable legacy through their recordings as well as their contributions to the film industry including performances in Seabiscuit, Old Gringo, American Me, Don Juan de Marco, A Million to Juan, Glory Road, Beverly Hills Chihuahua and Rango. Maestro Jose Hernandez is not only responsible for setting a new standard for all mariachi ensembles today, but also for immortalizing this wonderful, passionate music across the world. ​Jacquelyn Guzman is native to Tucson, AZ. Although she began dancing folklorico when she was a little older, 14, she fell in love immediately. She was a part of Los Tucsonenses, under the direction of Lisabeth Almgren and Marcela Cardenas from Tucson High Magnet School and graduated with a Performance Arts Credential. She then became a member of Ballet Folklórico Tapatío, where she danced under the direction of Maestro Sergio Valle Vasquez for over eight years. It was under Ballet Folklórico Tapatío where she began her teaching career. She taught the Infantil group for Tapatío for two years and was then given the opportunity to work at Sunnyside High School as the director of Los Diablitos Azules for three years. Wanting a change of pace and something new, Jacquelyn relocated to Las Vegas, NV in the fall of 2008 to teach in the Clark County School District. Ballet Folklórico Sol de Rancho of Rancho High School has acquired many accolades since she has began directing the group. It was here that she saw a greater need for folklórico in the community and also began teaching an Infantil group in the evenings. Most of the members of the Infantil group were siblings, cousins, neighbors of her high school students. When members of Sol de Rancho began graduating, they did not want to stop dancing and so, in 2012, Jacquelyn formed Ballet Folklórico Sol Huasteco with former students. Jacquelyn is a proud Tucsonan and has a Bachelor’s degree in Business Administration from the University of Arizona and an Associate’s degree in Performing Arts with a Dance Emphasis from Pima Community College. She has also obtained her Master of Arts degree from the University of Southern California in Teaching English to Speakers of Other Languages. Jacquelyn has coordinated the folklórico component of the Clark County School District Mariachi and Folklórico Conference since 2009. She also had the honor to participate as an Assistant Director for the Las Vegas Mariachi and Baile Folklórico Conference in 2013 hosted by Tucson’s own CHISPA Foundation. Jacquelyn has also participated in numerous conferences, such as the Tucson International Mariachi and Folklórico Conference, Las Cruces International Mariachi and Folklórico Conference, the San Jose Mexican Heritage and Mariachi Festival, and the Gran Festival de Folklor y Mariachi in Tucson, AZ. Roberto Lopez, originally from Tucson, Arizona, began playing guitar, vihuela, and guitarron while enrolled in public school. He has studied with Mariachi Vargas de Tecatlitlan, Mariachi Los Camperos de Nati Cano. He has performed in a number of professional mariachi ensembles in Arizona and Nevada and has shared the stage with Placido Domingo, Shaila Durcal and the Nevada Pops alongside Maestro Jose Hernandez. Roberto currently teaches mariachi full time at Rancho High School in the Clark County School District headquartered in Las Vegas. 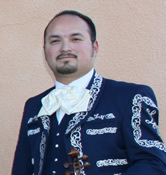 Erik M. Ramirez is a full-time mariachi educator and has played violin, vihuela, and guitar professionally sharing the stage with Mariachi Vargas de Tecalitlán, Mariachi Sol de Mexico, Arturo Sandoval, Mariachi Cano, Beatriz Adriana and Tito Nieves. Currently, Erik teaching mariachi at Bailey Middle School in the Clark County School District in Las Vegas, Nevada. 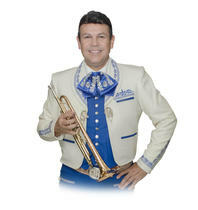 Erik is a leading national mariachi education presenter and co-author of the ¡Simplemente Mariachi! Method Series for Beginners published by Northeastern Music Publications. Michael Sital, originally from Victoria, Texas, began playing guitar, vihuela, guitarron, violin, and trumpet in school. He has performed in professional mariachi ensembles in Texas and Nevada and has studied with Mariachi Vargas de Tecalitlan, Mariachi Sol de Mexico, and Mariachi Cobre. Yvette Sital was born in Victoria, Tx. She began to sing at the age of six in the children’s church choir at her church and was influenced to play guitar by Father Antonio, the priest and leader of the choir. While attending middle school, Yvette was introduced to mariachi and developed a strong sense of devotion towards it. At the early age of eleven, she launched her mariachi career with a group called Mariachi Grito Alegre and later formed a group with members of family and friends called Mariachi Juvenil Sol de Mexico. Soon afterward, her expanding expertise in mariachi allowed her to be part of the group of students who founded her high school's mariachi program. In December of 2007, Yvette moved to Las Vegas to teach mariachi for the Clark County School District where she began her specialization as a mariachi educator. Since her move to Las Vegas, Yvette has had the opportunity to teach at the CCSD Mariachi Conferences and has served as chair for the CCSD Honor and All-City Mariachi. Through her leadership and vision, Yvette has propelled the mariachi program at Monaco Middle School to become one of the top mariachi education platforms in the country. Her students compete nationally and have won several trophies in Nevada, Texas, and California. More recently, Yvette is a member of Mariachi Aguilas de America from Las Vegas and is also a member of one of the most prestigious all female mariachi ensembles, Mariachi Mujer 2000. She has had the privilege to perform at incredible venues such as the Astrodome, The Reliant Stadium, The Hollywood Bowl, and The Santa Barbara Bowl while having the honor of sharing the stage with world renowned artists such as Paquita la del Barrio, Placido Domingo, Mariachi Vargas de Tecalitlan, Mariachi Sol de Mexico, Mariachi Nuevo Tecalitlan, Trio Ellas, Nydia Rojas, and Mariachi Los Camperos de Nati Cano. With extensive mariachi backgroud, Yvette has built a strong foundation responsible for the increased productivity and success of the marichi program in Las vegas. In addition to her role as an educator, Yvette offers her services as an innovative mariachi clinician and arranger in order to grow mariachi presence across the country. Yvette is extremely passionate about keeping mariachi music and culture alive and will continue to share her love and knowledge of mariachi with everyone.